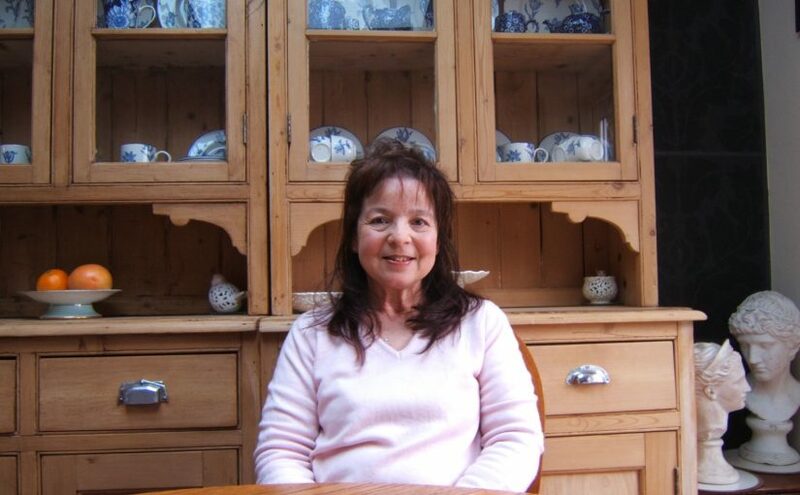 Jenny used to run spiritual workshops from her home in Buckinghamshire. A home that was a sanctuary for healing, spiritual counselling and education. She knows that people with spiritual ‘gifts’ can often feel lonely and confused and her aim is to address these issues and bring like-minded people together for development and mutual support. Jenny was born into a Jewish family and had to attend synagogue regularly. But Jenny felt different from those around her. She realised she didn’t have to go to synagogue to pray but could just as easily do so in her bedroom. Jenny’s mother died when she was 15, the beginning of a nomadic period in her life. She had to give up her education and career for the world of work. Having ‘heard’ and ‘seen’ things all her life, she can remember at 18 feeling unusual sensations in her hands as she travelled to work on the train. For the next 9 years Jenny virtually lived out of a suitcase. One day, she had a chance visit from someone she later learned was a ‘physical signpost’. He told her that if she didn’t stop and take roots soon, she would be on the move for the rest of her life. Two weeks later, Jenny met her husband and they had a son; however, there were still many questions that puzzled her. Why, despite having no interest in any religion, did she feel so religious? Years later, the answer came through a clairvoyant. She was going to be a medium and healer and so, at 45, her life really began to take off. By now she virtually had a degree in emotional survival; such was the rich tapestry of her experiences. You can now visit Jenny in Wales for private personal help, spiritual/psychic counselling and mentoring offered via one-to-one support or for two people sharing. Click here for further details about One to One spiritual help or guidance. I am so glad I took a leap of faith and called Jenny. She opened my mind and soul. I can honestly say during the period I was fortunate enough to be invited to Jenny’s home, I was a much calmer person with an inner sense of peace and was given an opportunity to progress spiritually with likeminded people. The classes enlightened me and developed connections I never knew I had. I would encourage anyone with a feeling of a sixth sense to explore the possibilities with Jenny. As we enter the age of Aquarius the Human race is evolving to a higher level. We are entering an age of spiritual awareness. The darkness of the previous ages has meant that mankind has lost its connection with the higher side. Jenny’s mission is to help restore this connection. Jenny has a sincere and genuine desire to help people connect with their spiritual side (and hence lift the Human race to a higher level of consciousness). I have known Jenny for many years and have sat in circle with her. She is an excellent medium and I would commend her to you. Congratulations on the book.